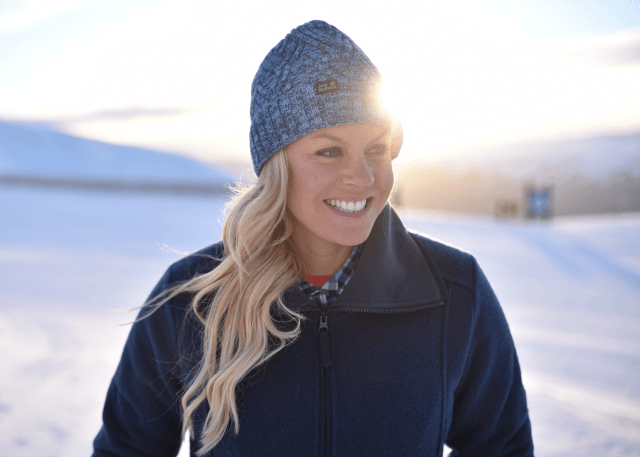 As a four-time Winter Olympian and seven-time British National Overall Champion with a career-high ranking of 8th in the World, Chemmy Alcott is widely regarded as one of Britain’s greatest ever skiers and the only British female skier to ever win a run in a World Cup event. In a time where competing at a Winter Olympics was unusual for a British athlete, Chemmy defied the odds and pioneered a skiing movement that has inspired a generation, helping British Winter Sport athletes across all disciplines to view the Winter Olympics as a realistic and achievable goal. Since retiring from competing on the world stage after The Sochi Olympics in 2014, Chemmy has immersed herself in the world of TV & media, where she now presents for the BBC on Ski Sunday and commentates on the World Cup Ski Series for Eurosport amongst being a guest on many other show. Furthermore, she competed in ITV Dancing on Ice in 2012, where she finished 5th. In addition to her TV commitments and hosting events and despite retiring, Chemmy continues to constantly push her body to the limit, competing in multiple physical challenges including the World’s Toughest Ski Race in Greenland, the 100-mile road race in London and climbing Mt Kilimanjaro, raising over £800,000 for charity in the process. Charity work is very important to Chemmy, where she acts as an active ambassador for Right to Play, Ski4Cancer, SnowCamp and United Learning. In 2018, Chemmy became a well-loved BBC Winter Olympic Sport Commentator. She was enthusiastic, empathetic and gave a unique insight into the games that only someone who has been through the experience as an athlete could give.